Once you have collected input from the various sources and stakeholder groups, analyze the results to identify the top concerns by stakeholder group. Now it’s time to revisit Step 4, and with this information, refine and prioritize the list of sustainability attributes for your organization. Instruct participants to place their stickers by the attributes they think are most important from each of the three perspectives. This forced-choice exercise will likely reveal disparities or conflicts between internal and external perspectives. Further evaluating the potential impacts and tradeoffs in the next step can help you make more fully informed decisions about where to focus. 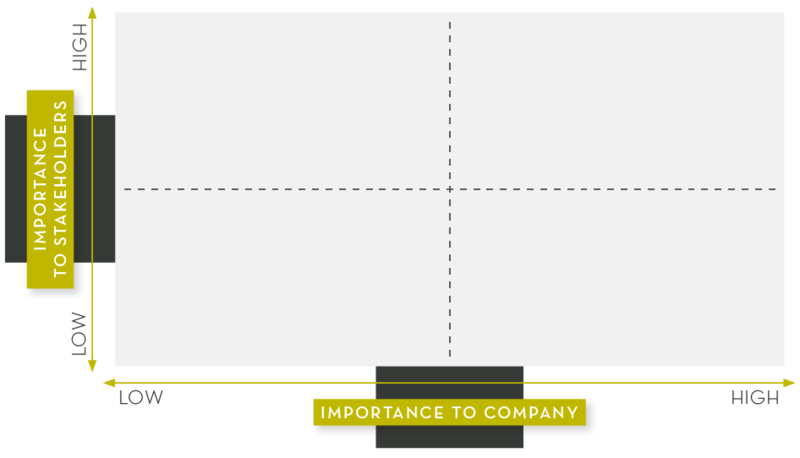 The results of your analysis can be displayed in a priorities matrix. 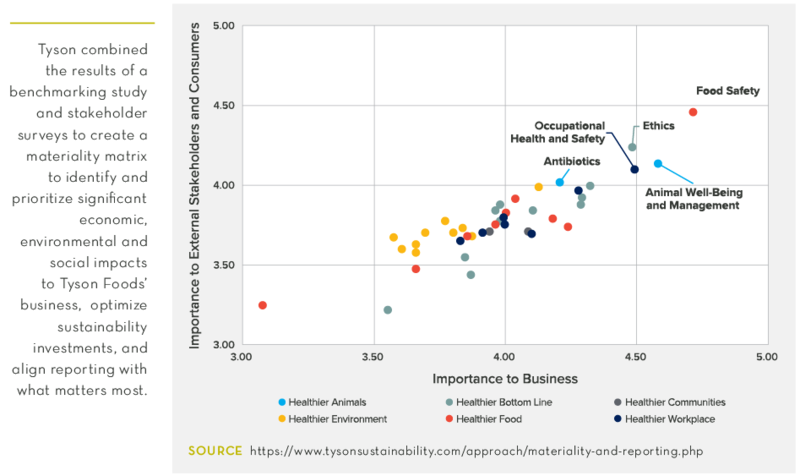 The matrix plots sustainability issues by importance on two attributes on the X- and Y-axes. The most critical issues are found in the upper right quadrant of the matrix and lesser important issues in the lower left quadrant.